Listen up, dear readers. 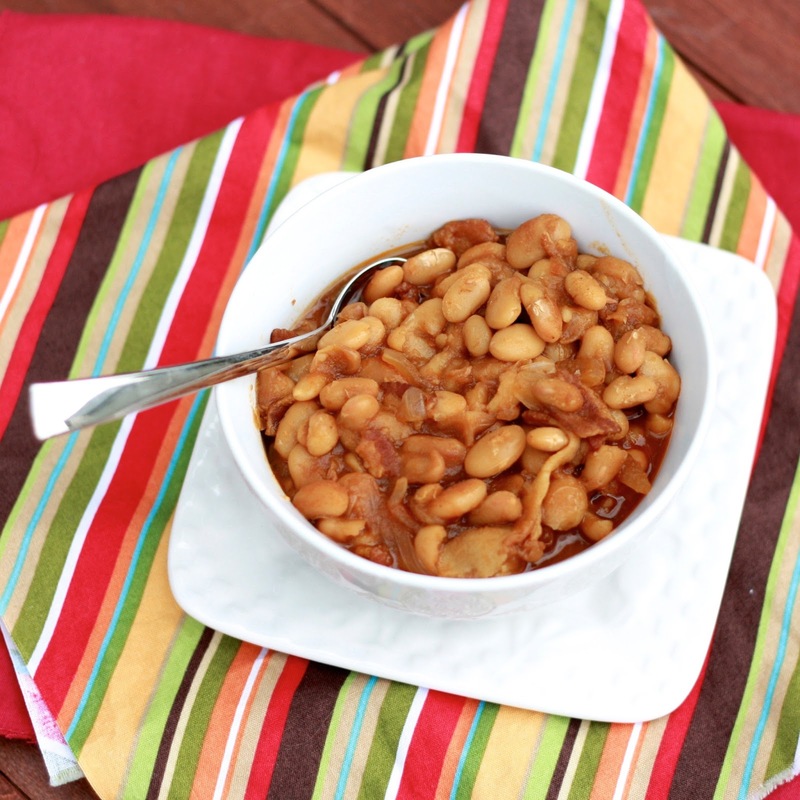 You are going to make these root beer baked beans. They are going to make your kitchen smell so good. You are going to watch to sample them as soon as they come out of the oven, even though you can literally see the steam rising from the pan. Don't. Resist. You should try them. You must try them. You will try them. But not yet. Don't make the mistake I did. Give them a few minutes to cool. The skin on the roof of your mouth will profusely thank you!! As you probably figured out, I burned the living daylights out of the roof of my mouth when I get a little eager to try these. As much as it made eating a much more painful experience for the next twenty-four hours, I really couldn't resist them in that initial moment. I'm glad I made the mistake so you don't have to! 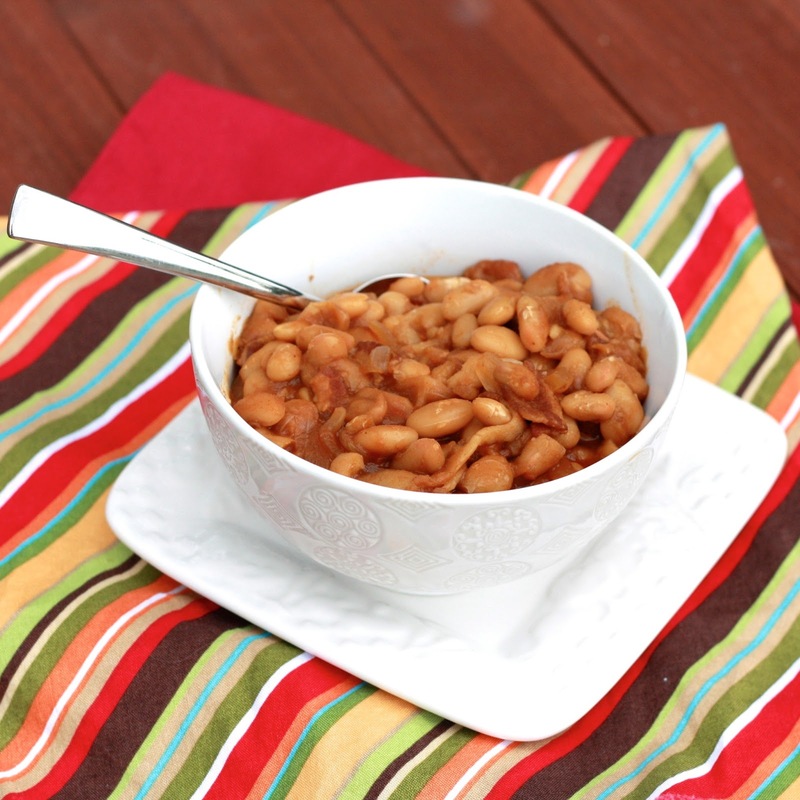 These baked beans are complex, a little sweeter than many versions I've tried in the past, although this is somewhat offset by the pinch of red pepper flakes. When we ate the leftovers the following day (I ate them cold, refusing to risk another traumatic situation! ), the root beer flavor was even more present. I did not complain, and I don't think you will either! Just please, let the beans cool first! 1. Preheat the oven to 400F. Heat a medium oven-safe pot over medium heat. Add the bacon and cook, stirring, until bacon is crisp (about 8 minutes). Remove bacon with a slotted spoon and transfer to a plate lined with paper towels. 2. In remaining bacon grease, add onion, garlic, and ginger. Cook, stirring occasionally, for 5 minutes, until soft. Add the tomato paste and cook for 1 minute. 3. Add the root beer, vinegar, molasses, mustard, red pepper flakes, and garam masala to the pot. Stir, then bring to a boil. Add the beans and bacon to the pot, gently stirring. Reduce heat to medium low and simmer for 15 minutes, until slightly thickened. Season with salt and pepper. 4. Transfer pot to the oven and bake, uncovered, until thick (about 30 minutes. Allow to cool slightly before serving.